Ladies and Gentleman, I feel I have done something very dangerous (to my future bank balance at least!). 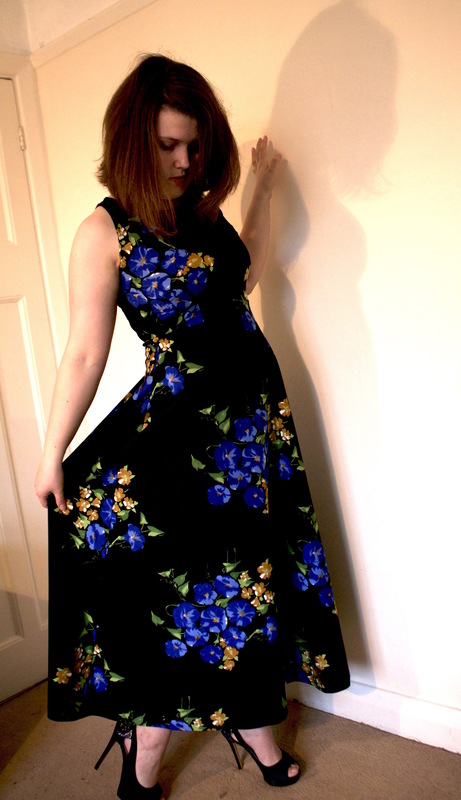 I have re-fashioned a vintage dress. It all started when I finally got round to spending the vouchers for a vintage store in London that my step-dad had given me a couple of Christmases ago. 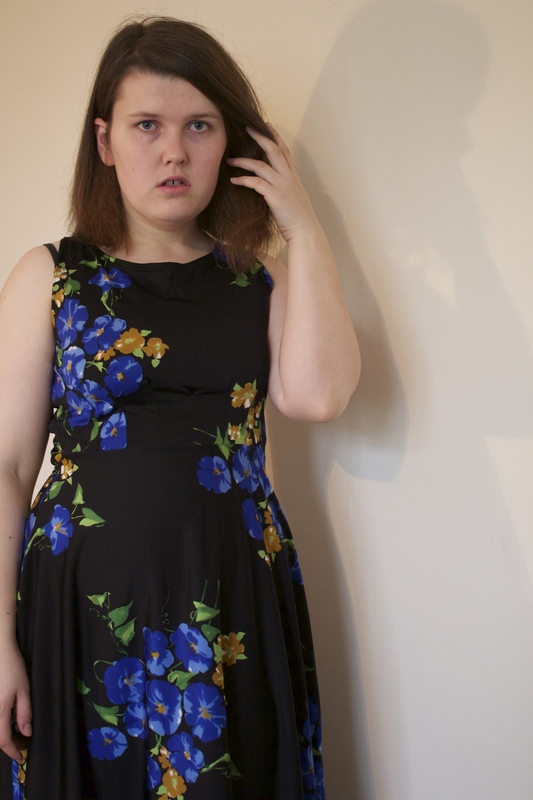 I saw this dress peeking out on a rail and was immediately drawn to the big floral print. The only problem? The dress itself was hideous. Puffy sleeves make me cross, apparently…! 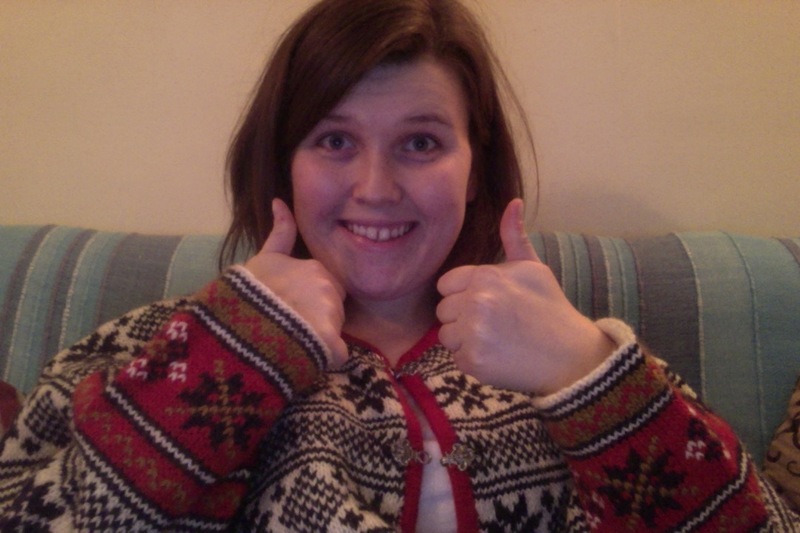 When I got the dress home, I realised just how tacky the dress was in its current state. That witchy collar? The 20 teeny tiny buttons that seemed to be everywhere? The giant sleeves with the long cuffs? It needed dragging into the 21st Century! Headless, due to the awful face I was pulling in this pic! I took the bodice and skirt apart, and unpicked all the bodice pieces. 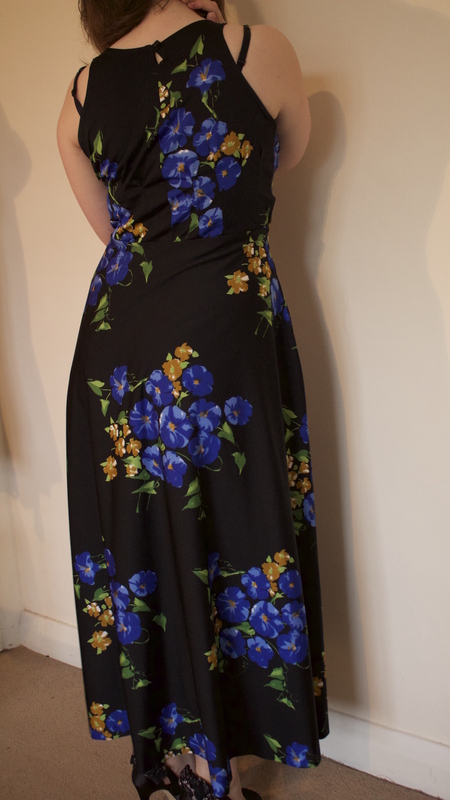 The skirt needed taking in at the waist, which I did simply by overlocking the dress into a smaller size. For the bodice, I turned the back into the front and vice versa, using a different dress I have as a guide for the shape. 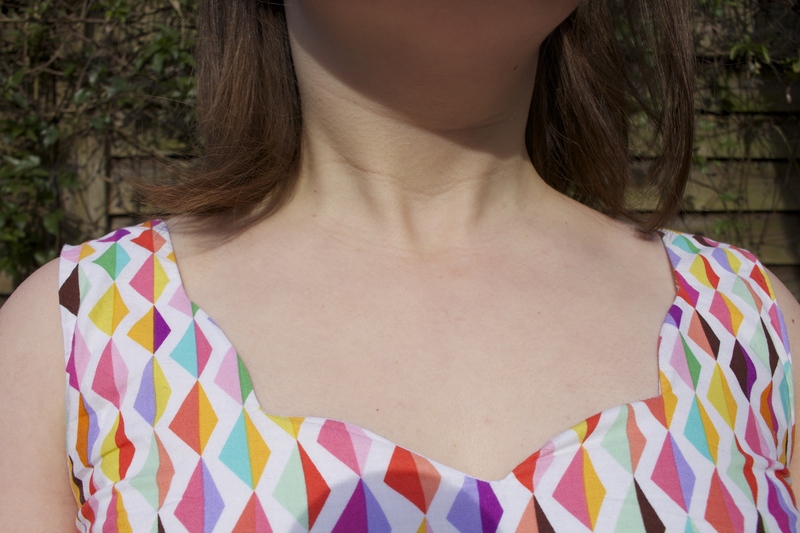 Initially I tried to make a clean finish binding on the neckline and the armscye using Colleterie’s brilliant tutorial, but the fabric was too thick and it made the dress sit a bit funny, so I ended up taking them off and using a double needle. This gives the edges a nice clean finish without being too bulky. Hurrah! The only problem is that I couldn’t quite get the front of the bodice to sit flat. I don’t think it looks too bad, but if anyone has any tips for how to avoid this, let me know in the comments!! For the back, I made a little opening at the top and re-used one of the buttons. When I tried to do this with the binding, I couldn’t quite get my head around it! I ended up double stitching it down too, which gives it a neat finish whilst still being nice and secure. Being able to re-fashion clothes was one of the reasons I wanted to start sewing in the first place and it was definitely fun seeing what I could make from what was there. 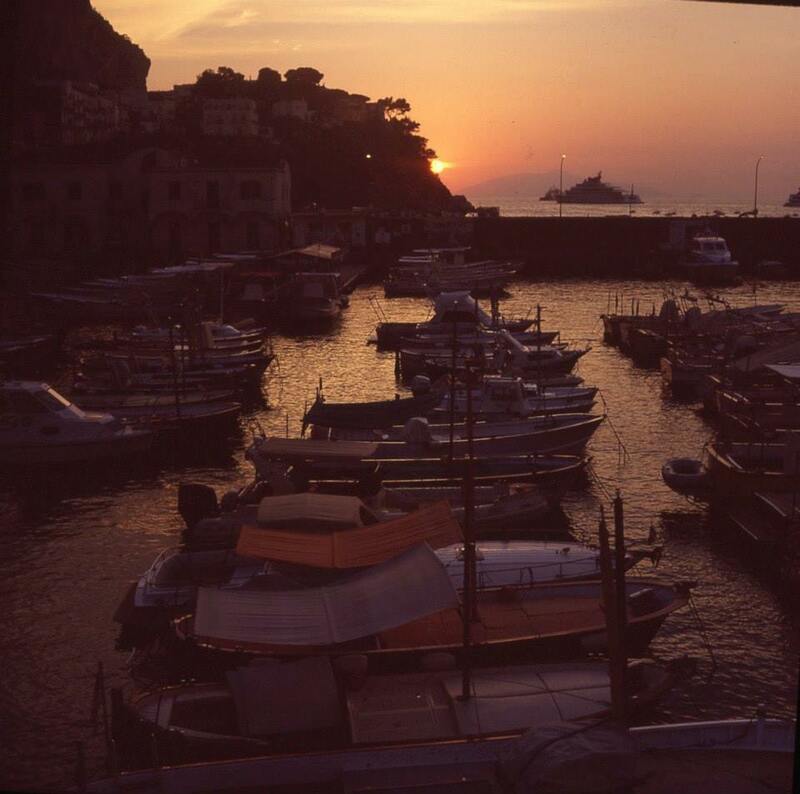 The only problem is, as a lover of all things vintage (crazy prints, big skirts, gorgeous silhouettes… swoon!) 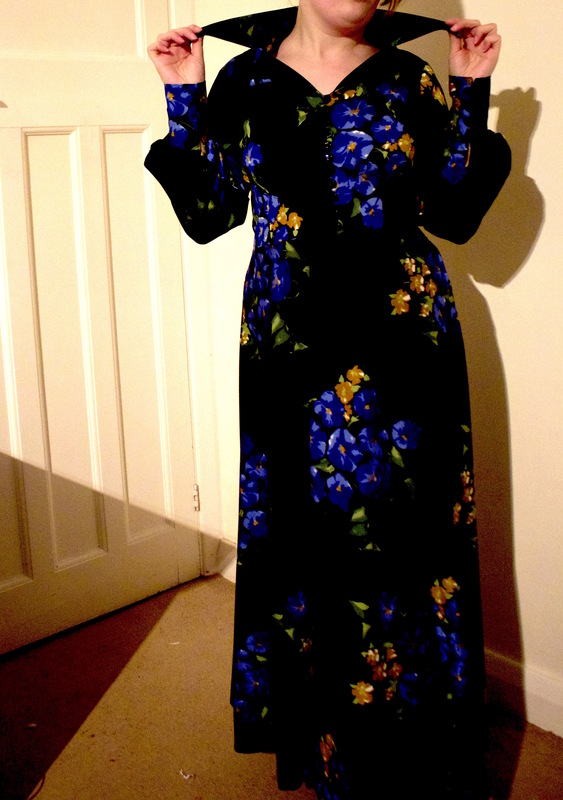 I suspect that my vintage shopping budget will significantly increase now that I can change up the styling!! 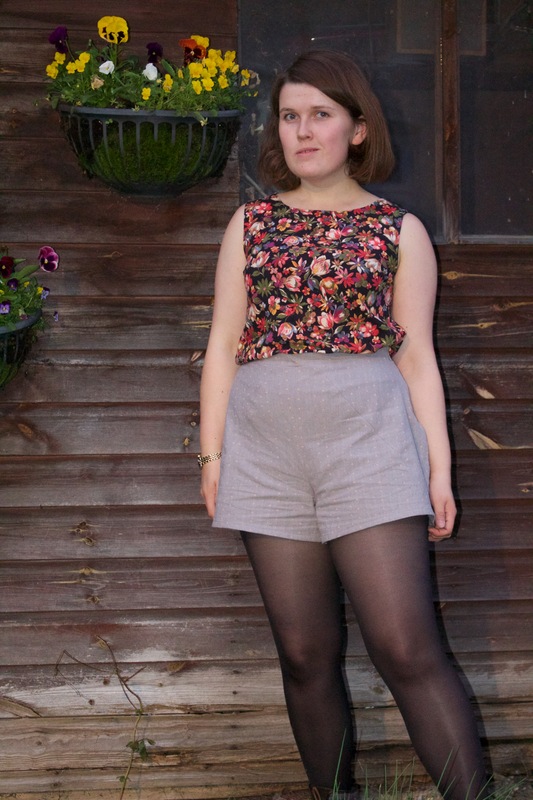 Have you re-fashioned anything vintage? If you’ve blogged about it, link in the comments so I can have a look! Last weekend I was invited to the wedding of my friend Jon and his lovely fiancée (and now wife!) Stacey. Not only is this the first wedding that I have been invited to as an adult, it’s also the first big occasion I’ve been to as a sewist. And if a wedding isn’t a good enough excuse for making something new, I’m not sure what is!! 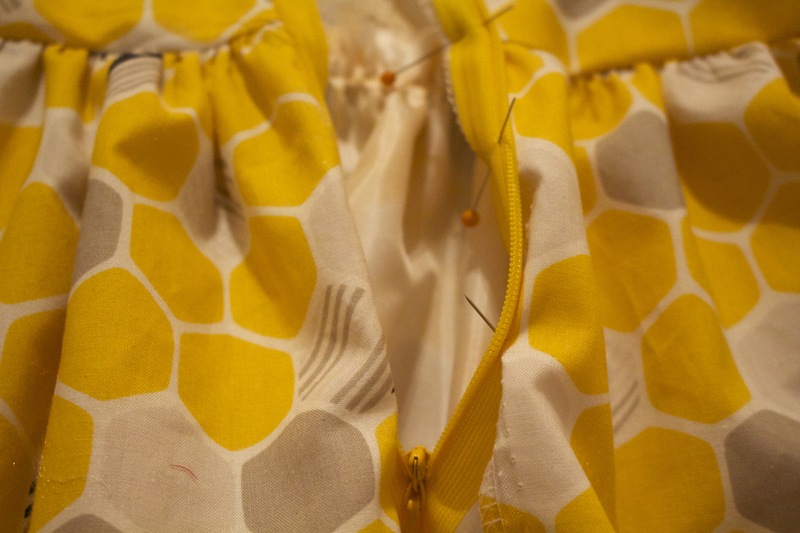 As a result, this past week has been spent furiously sewing the Lilou dress from Tilly and the Buttons‘ book Love at First Stitch. I made the gathered skirt version (due to this lovely fabric I got in the Village Haberdashery Boxing Day sale being a bit too narrow for the pleated original) with a scalloped neckline for extra prettiness. Given I’m still at an early stage in my sewing journey, I still learn a lot from each and every make. The thing I learnt from making my Lilou was, in contrast to my last post about Speed Sewing, taking your time actually saves you time. I originally cut the bodice without the scallops. 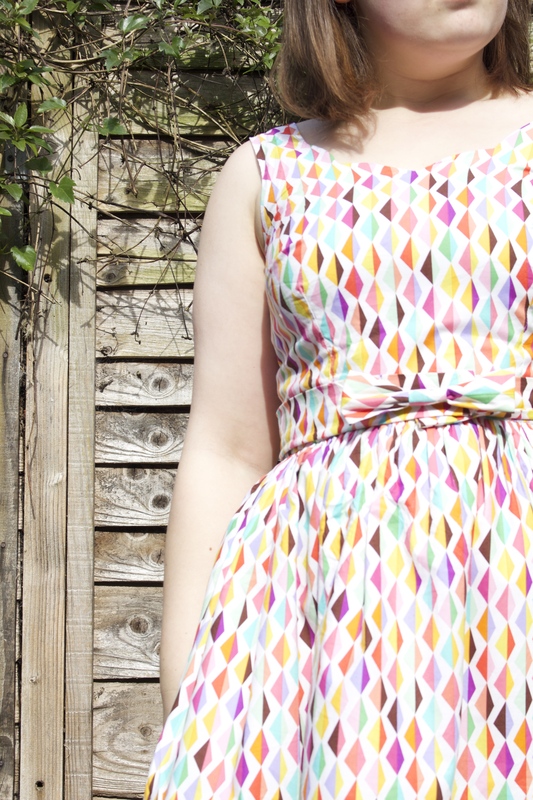 Thankfully I had only cut the lining, and i had enough to re-cut the front bodice piece with self-drafted scallops! I had to sew the side seams on the skirt three times; first because I had sewn the French seam the wrong way, and then again when I had re-sewn the French seam only to remember that I wanted to add pockets. I had to unpick the gathers after not pinning them to the skirt before doing the final tacking stitch. This meant that the skirt stretched out and was too big for the bodice. I also had to re-do the zip after accidentally getting it twisted the first time! I had spent so much time un-picking and re-sewing that I had to finish hand-stitching the lining and the bow-belt whilst on the train up to Scarborough for the big day itself! All told, I could have probably finished this project a lot quicker if I’d taken a little more time over each step and actually read the instructions properly instead of second guessing myself!! A lesson I had learnt by the time I got round to the bow-belt! Even though it caused me a bit of grief to get right, I’m really happy with how the dress turned out! If (or rather when) I make another version I’ll probably shorten the bodice a little as it is a teensy bit long on me, but overall I think it looks pretty good! 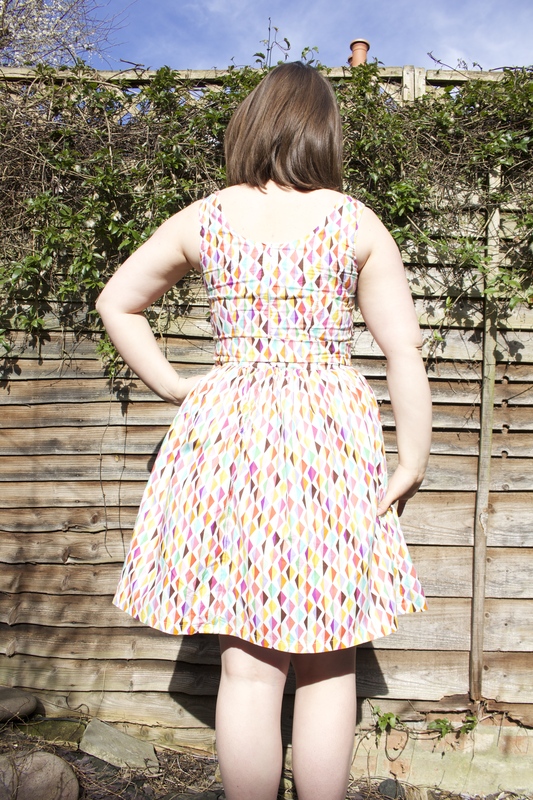 The back of the dress – the bodice is a little big, but I reckon it looks ok! The wedding itself was absolutely lovely, and the sun even came out in honour of the occasion. I think I will probably make another outfit the next time I get invited to a big ‘do’, but maybe I’ll give myself a little more time and pay closer attention to the instructions!! Hello my lovely readers! 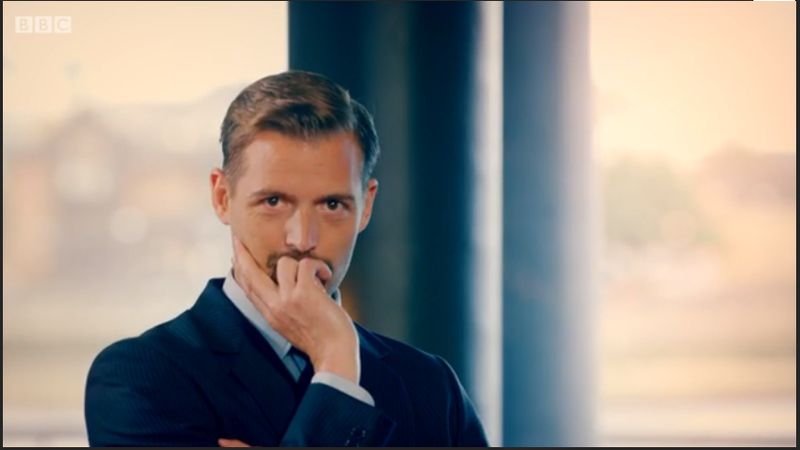 In case you hadn’t noticed (and if you read a sewing blog, you probably have) the Great British Sewing Bee is back for it’s third series. It’s officially Bloody Brilliant. One of the things that amazes me is how quickly these guys can sew. I mean, last week’s challenge was to make a child’s waistcoat. IN THREE AND A HALF HOURS!! Seriously, how is that even possible. I was discussing this with my flatmate on our way to the pub, and he suggested that I give myself a deadline to try and get something made by. 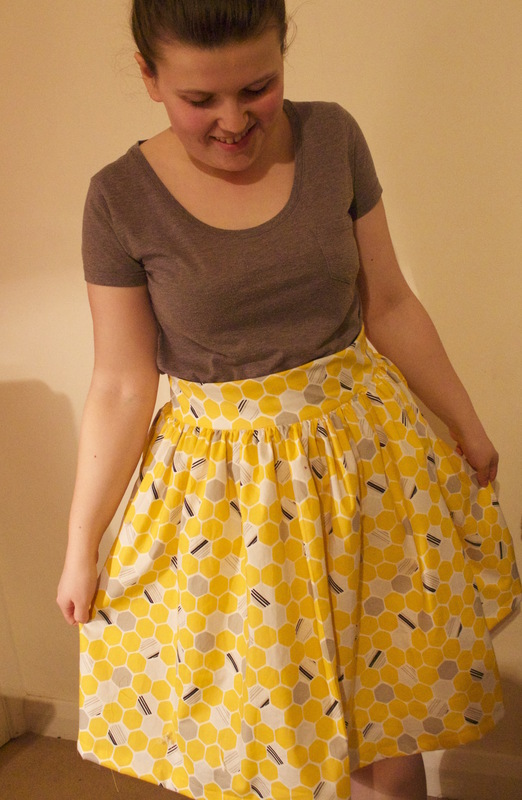 And so, in the spirit of GBSB, the four-hour skirt challenge was born. 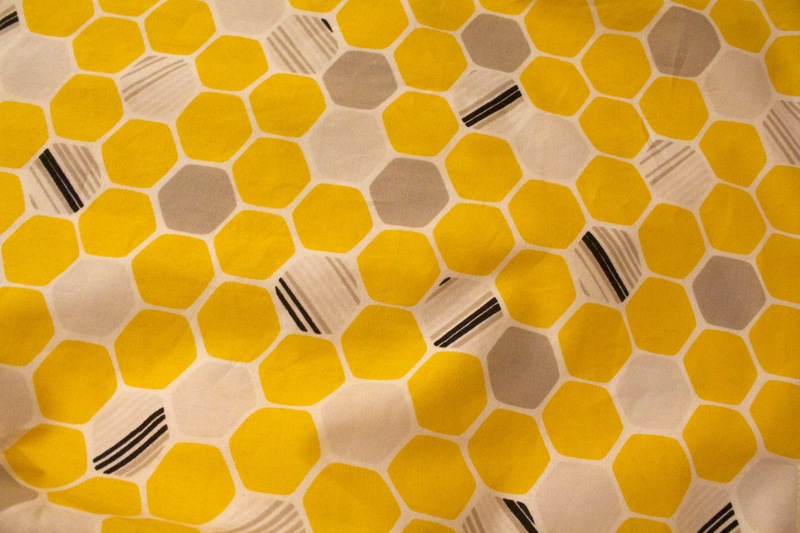 I had this lovely, honeycomb-inspired fabric in my stash, that I had bought from Frumble a little while ago, and immediately knew I wanted it to be a cute, lined skirt. 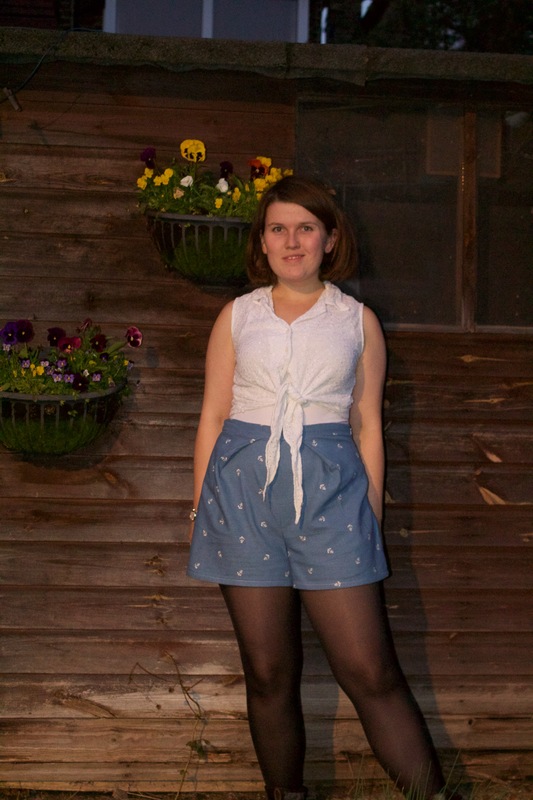 I have also had my eye on the Clemence skirt pattern by Tilly and the Buttons for a while. 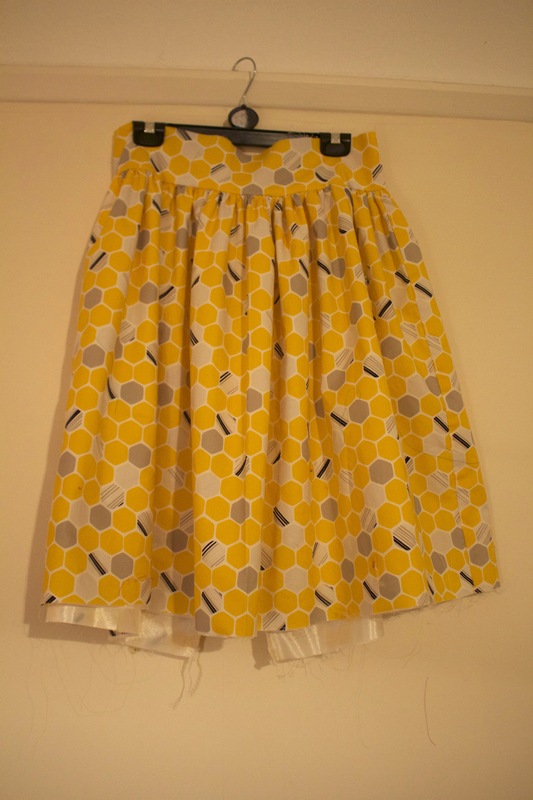 It’s a cute drindl skirt that is really easy to cut. 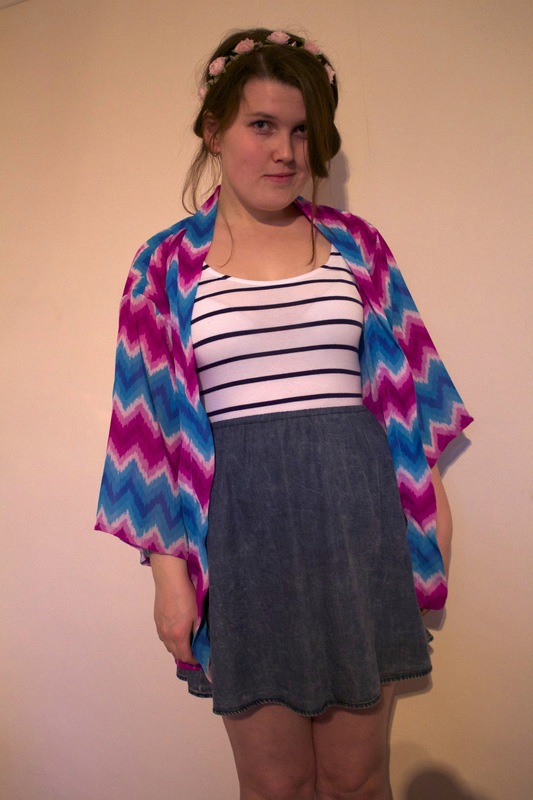 It’s also designed as a really simple introduction to fitting a pattern to your size. After an early morning trip to John Lewis to grab some last minute supplies, including some silky polyester lining, I was ready to go. Before starting the clock I worked out the lengths of the pattern I would need to draw out and I ironed out all the fabric and lining. And then, I went for it! 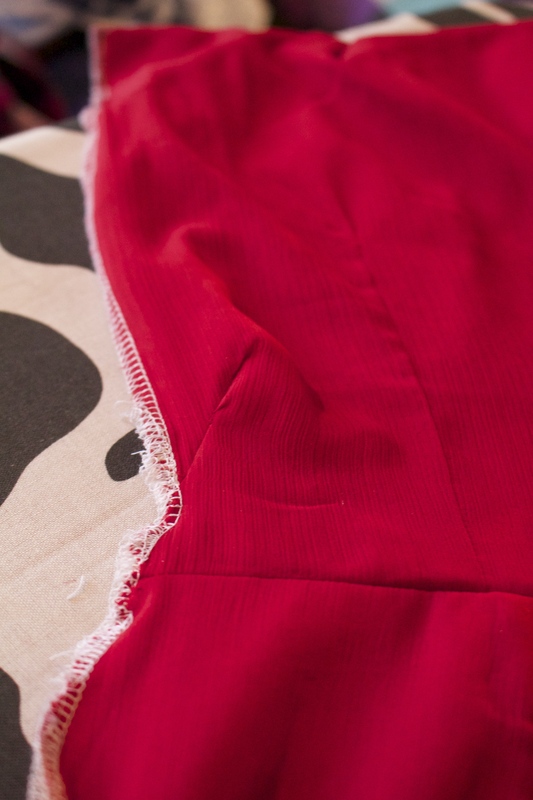 Starting out by drawing out the pattern and cutting out the fabric and interfacing, I then french seamed both the outer fabric and the lining of the skirt panel. Everything was going swimmingly, and I had stitched the outer and lining fabrics together with three lines of big contrasting stitches to start doing the gathers. Gathers, it turns out, do not work very well on the fraying, knotty lining fabric. I just about managed to gather everything and secure it down, but trying to take out the gathering stitches was horrible! Everything had become fluffy, knotted together, and all in all, it drove me mad. I think I must have spent at least an hour taking all the contrasting stitches out. It became clear to me at this point that I was definitely not going to finish the skirt in four hours. But I kept going and when the timer finally went off, here’s where I had got to. 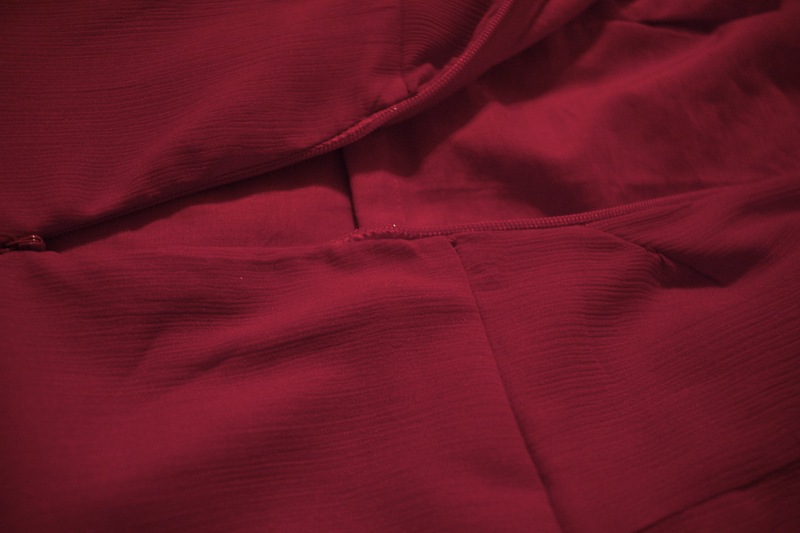 In four hours I managed to get the lining in, skirt gathered, and half of the waistband attached with the back edge overlocked and half of the zip in. Although the skirt would not have impressed Patrick or May, being very much unfinished, I was quite pleased that something that might ordinarily would have taken me a couple of days was coming together in a few hours. Half a zip is better than no zip? At this point I carried on at a more leisurely pace, and managed to get the rest of the skirt done in another hour and three-quarters. 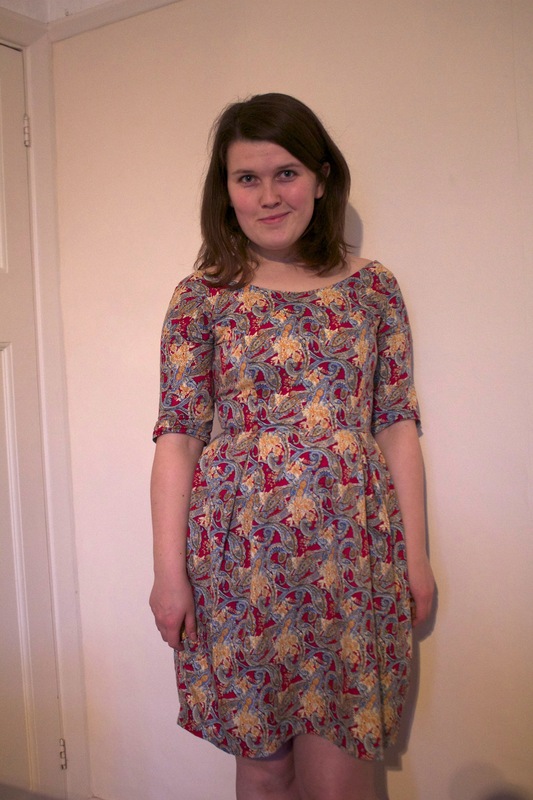 I have to say, I really like this pattern, and I’ll definitely be making more Clemence’s! My only alteration for future makes will be to make the waistband a little smaller. Tilly’s pattern includes 3cm of ease (i.e. extra room) across the whole waistband, and I don’t think I need so much of it. I’ll be taking it in a little at the waist to make it a little snugger, but honestly that is the only alteration I’d make! I will also not be using the awful, awful polyester lining again. It made me quite cross, and even though it does look nice inside the skirt, I don’t think it’s worth it for the pain!! 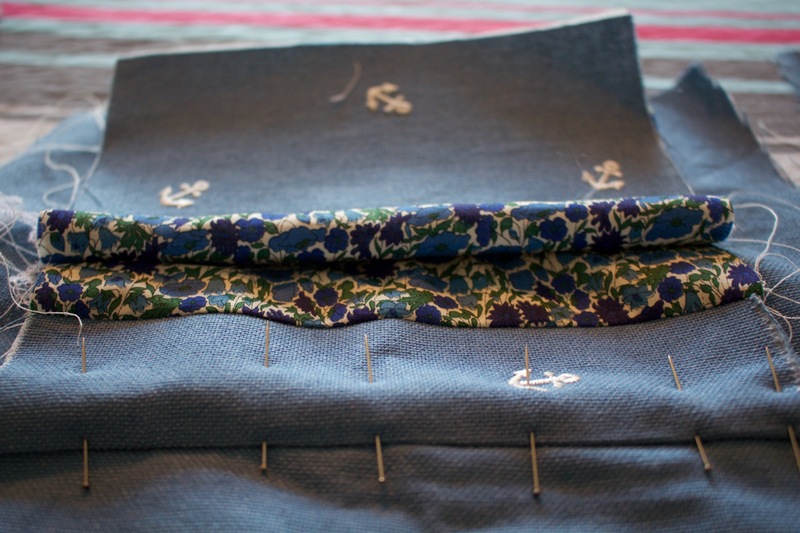 I really felt like I learnt quite a lot about my sewing style through doing this challenge. I think I worry too much some times about the teensy details that only I ever notice, but trying to finish in the time made me more focused on getting the overall skirt looking good. It was also really nice to both start and finish a project in one day, and to challenge myself to sew a bit quicker than I normally do. Whilst I definitely enjoy taking my time over a project (see the Anna dress I’m still working on), it felt really good to have something to show for my hard work by 9pm on Sunday! What do you think? Does timing your sewing work for you? My Anna dress is slowly but surely coming together. 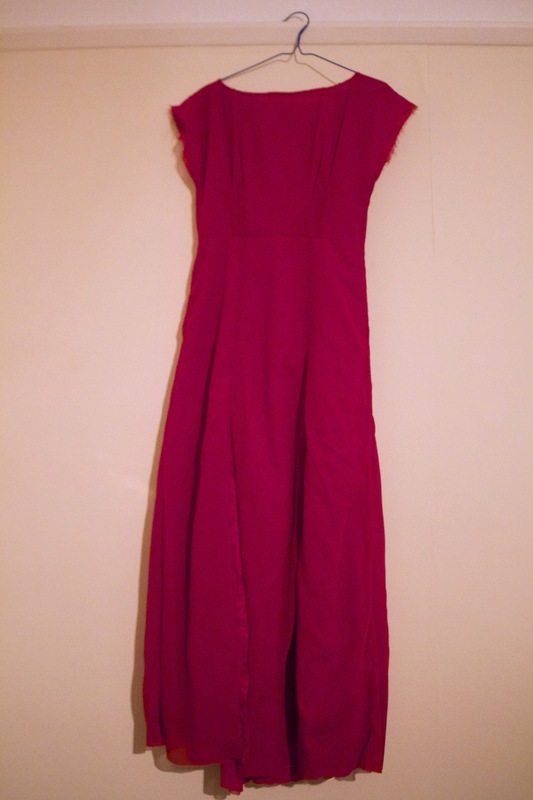 I am nicknaming my Anna dress ‘The Beast’; a floor-length, blood-red, thigh-split, hyphenation-inducing beauty. 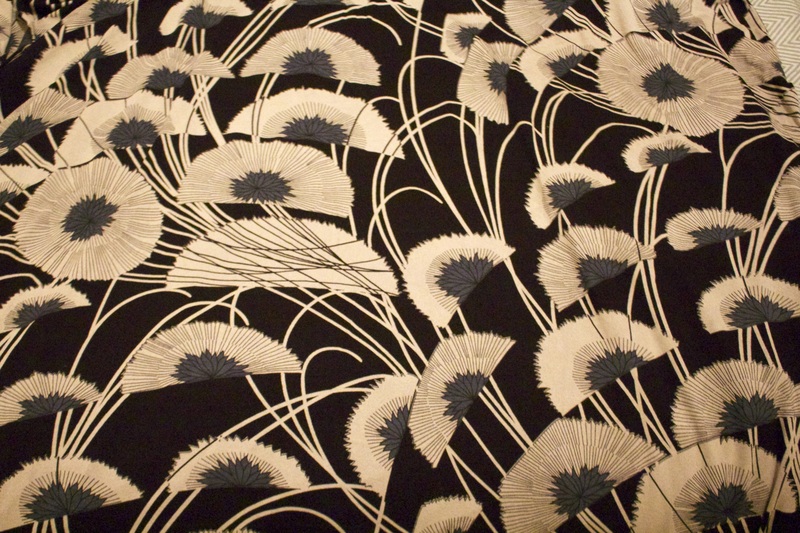 I had been looking for fabric for the Anna for a while, and had originally thought a cool geometric print could work well (something I still may create). 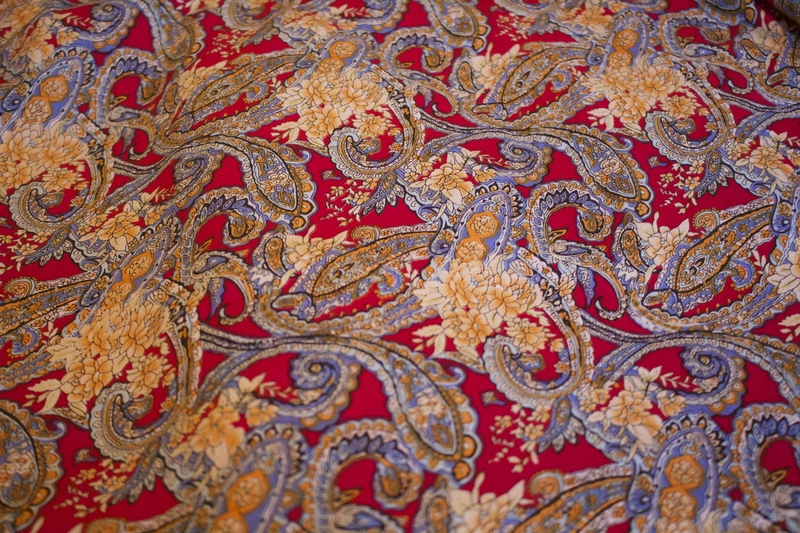 But when I saw an almost shimmery, crimson red chiffon for £1.50 a meter in Brixton, I couldn’t resist! 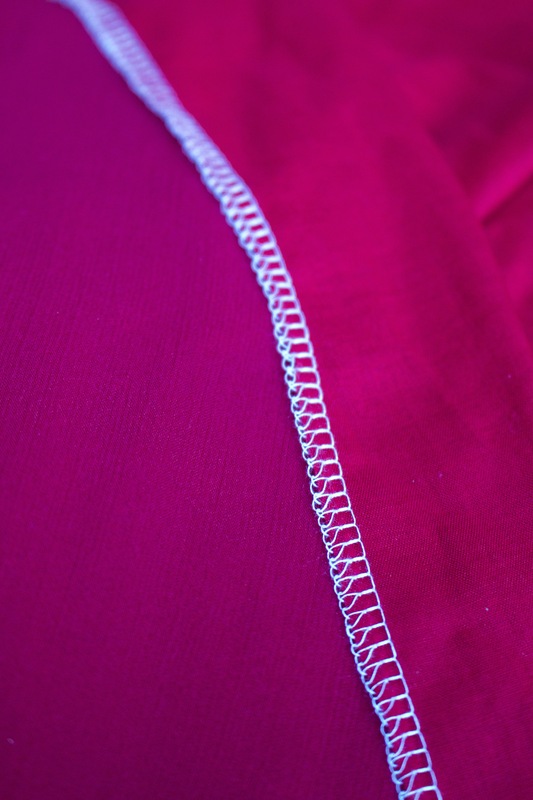 I’m using a lightweight red cotton lawn for the lining, because the chiffon is SHEER, as demonstrated below. Another reason why this dress is The Beast is that it has given me a lot of pain. 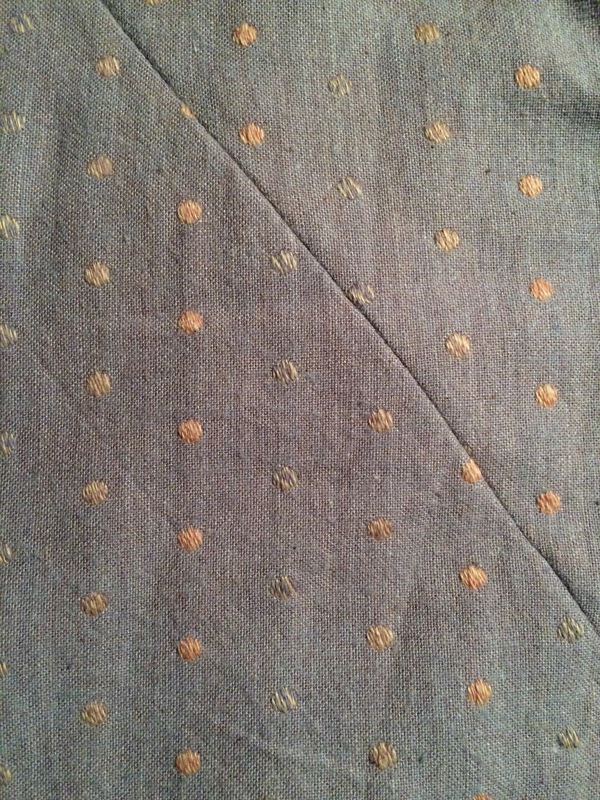 I decided to overlock the back seam; you won’t see it so I figured that the white thread that came with the overlocker would work fine. And then, I realised that I had missed a little bit of the chiffon when overlocking. No worries I thought, I’ll just go over it again. And then, disaster. I sliced right through the dress. After a minor period of swearing at my stupidity, I set about fixing it, by creating a little dart in the back. It ended up looking ok, I think? Apart from the hideous overlocky mess. I then finally put the zip in, only for it to break. I got a bit cross at this point. Invisible zips are my nemesis, so I’m going to buy another one and try again. Once that’s done (and because I am a sucker for punishment perfectionist), I’m going to blind stitch the armscye and thigh-split of the chiffon. The lining won’t really be seen, I’ve machined those. I’m also going to do a teensy rolled hem on the chiffon. I will tame The Beast eventually… She just needs a bit more work! This weekend has been really exciting for a lot of reasons. I’ve been sewing for about a year now. Back in January 2014 I signed up with a friend from work to go to a sewing class run by a friend of hers, Alice formerly of Holloway Smith Noir, now running the Little Black Pants Club. But since the classes finished, I’ve only finished two things: this lovely By Hand London Elisalex in an OTT paisley polycotton bought on Goldhawk Road, and a rushed Simplicity 1726 Kimono-ish Jacket I made for a holiday to Spain with very cheap chiffon-y type material bought in Tooting. 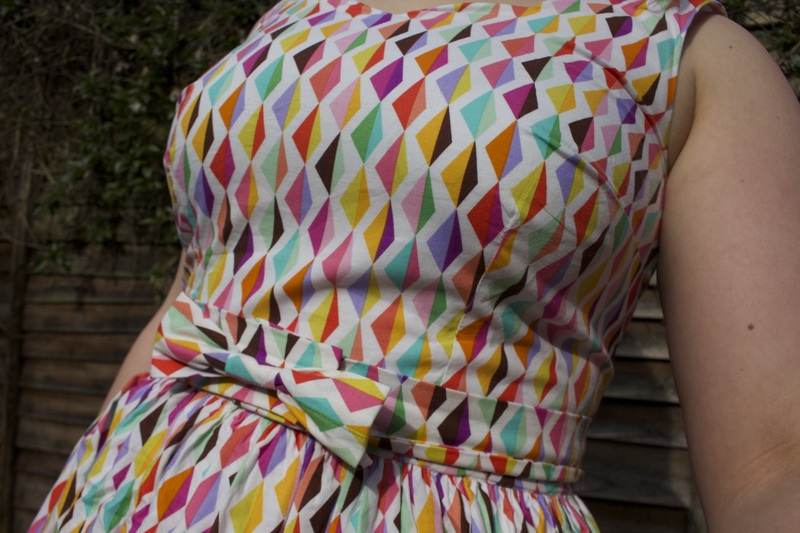 I even tried pattern matching on this one! It kind of worked. One of my excuses for not sewing has been that I’m currently part-way through a part time masters degree. For the last three months I’ve spent weekends in the library writing essays, so handing the last one in for a while last week filled me with joy; both that it was done, but also that I could blow the dust of my little Singer and finally finish my BHL Anna dress that I started in September (more on which in a future post). I hate UFOs (or unfinished objects), so coming back to Anna (and sewing) has been really fun, especially now I’m so close to finishing it! 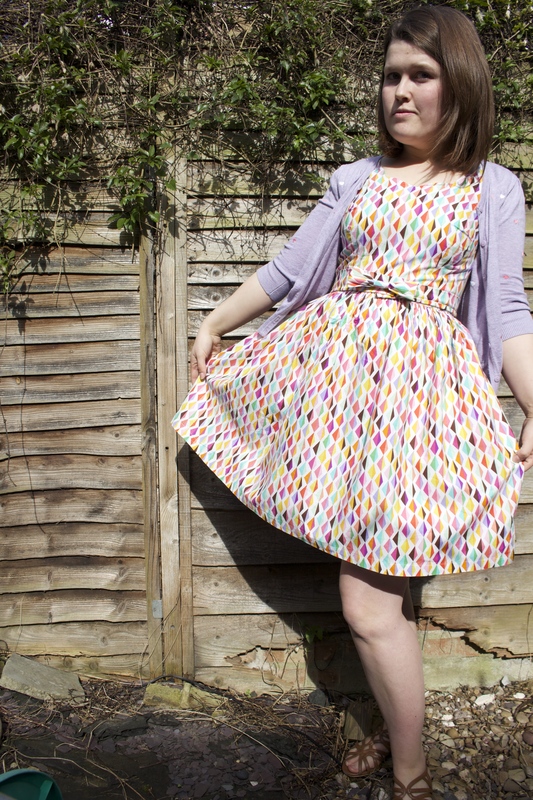 From the first time I used an overlocker in the class that Alice ran, I wanted one. I find finishing seams to be a bit annoying. 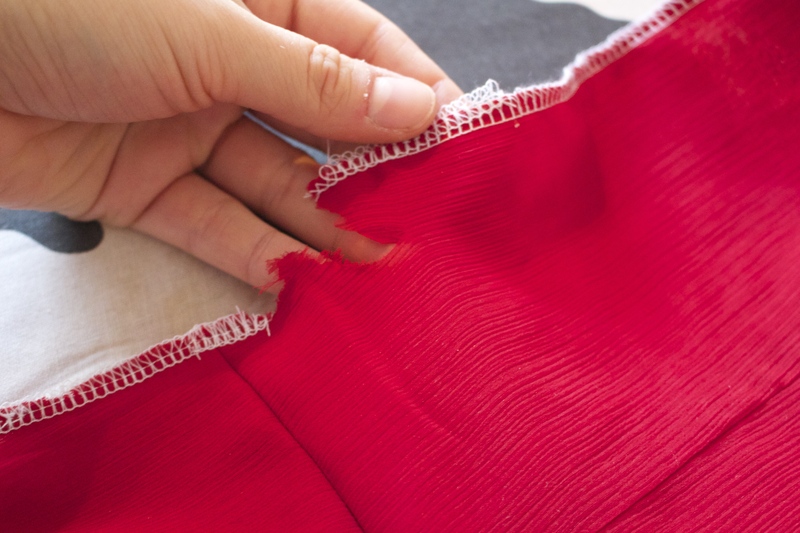 Although this may be because I keep using chiffony materials which I can’t help but french seam, the thought of having a delicious overlocker to do all that work in 5 minutes is really exciting. 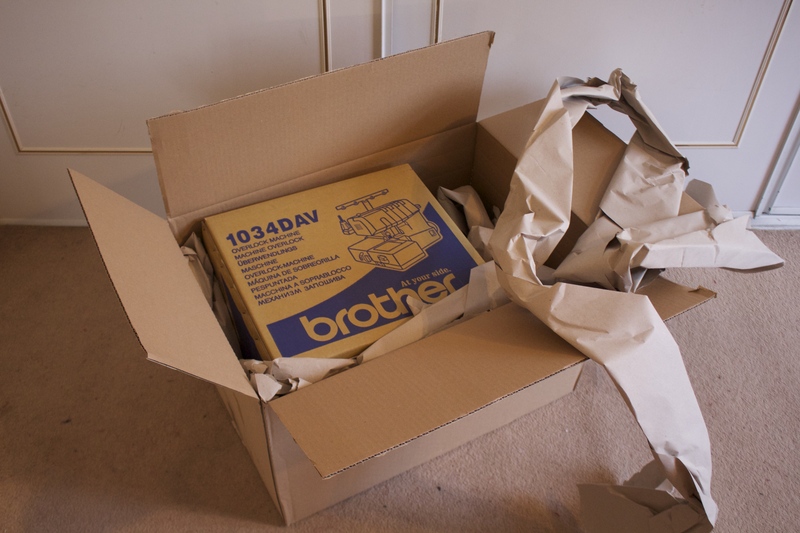 The overlocker is a Brother 1034DAV, and it came in the world’s biggest Amazon box. I’m really excited to play with some knit fabrics. 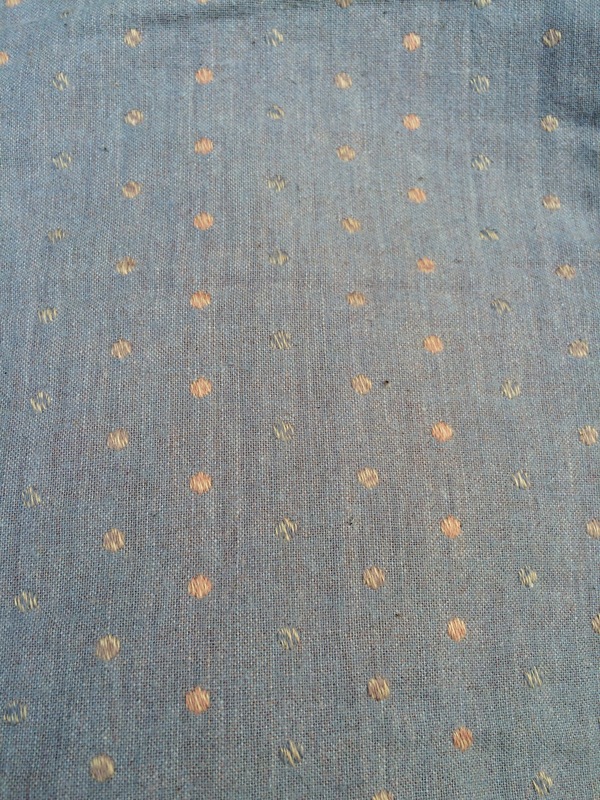 I have this unknown stretchy jersey-type material that I bought on Goldhawk Road, that is going to become a low-back Closet Case Nettie, with any luck. I should also have lots left over to play with so suggestions on a postcard please!